SKU: BD70860. Categories: Biography, Childrens, Juvenile Nonfiction. Tags: across the Atlantic, airplane, Amelia Earhart, female pilot, flight, pilot. 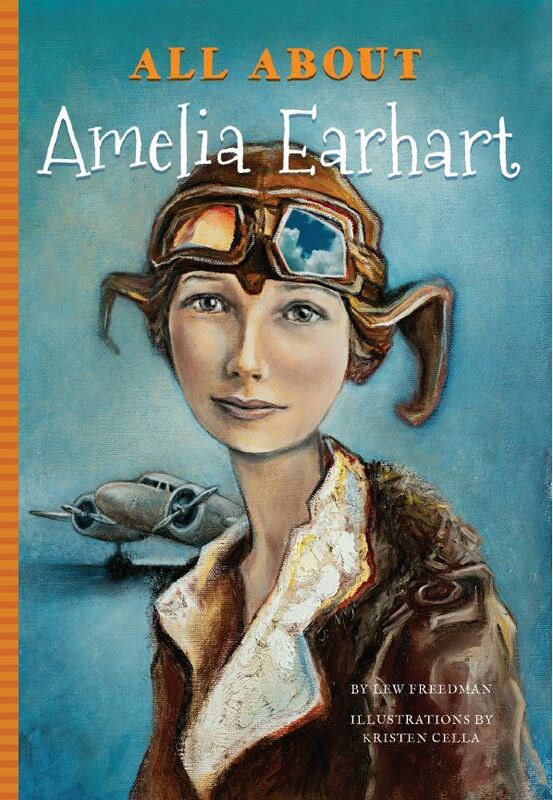 In All About Amelia Earhart, readers ages 9 – 13 years old will learn about Amelia Earhart. She was a pioneer pilot and was known as the best aviator of her time. This was very rare for a woman. She was a daring and skillful woman. Because of her courage, she broke flight records of speed and distance. One of her greatest achievements was in 1932, when she became the first female pilot to fly solo across the Atlantic Ocean. She achieved this success during a time when people believed that piloting was only for men. Amelia Earhart with all of her successful flights proved that female pilots were just as capable and courageous as male pilots. In all of her pursuits, Amelia Earhart worked hard to promote the rights of girls and women. She always encouraged women to take charge of their own lives. She also urged them to never be discouraged by the doubts of others. Although flying airplanes would always be closest to Amelia heart, she had many other interests too. She was a social worker, an author, a clothing designer, and an educator. Her achievements made her an important part of our history. All About Amelia Earhart is illustrated throughout. It is a great read for children grades 4th through 8th. Lew Freedman is the author of more than 90 books. They include dozens of biographies for adult and school aged readers. He has also enjoyed a long career as a journalist and newspaper editor writing for such papers as the Chicago Tribune, Philadelphia Inquirer and the Anchorage Daily News. The author currently resides in Columbus, Indiana. Kristen Cella is the illustrator of All About Amelia Earhart. She obtained her BFA from Northern Illinois University. Kristen has been a full time illustrator since 2009. Currently she lives and works in Chicago, Illinois. It’s a cross-town rivalry game against the talented and tough Dynamo. Alex and his team are confident. They know what each player should be doing on the field. What Do We Do? is a fully illustrated book that will help youth soccer players understand playing positions. It also intends to help young players transition from playing small side pack ball to 7 vs. 7 formations. Position II: What Do We Do?